Looking for Microsoft’s Ad Exchange? Wait Until (Early) Next Year. Microsoft bought ad exchange company AdECN more than two years ago. And unless you’ve been paying very close attention to advertising technology, that’s the last you ever heard of it. This should finally change next year. People familiar with Microsoft’s (MSFT) plans say the company intends to open the exchange, which will allow online ad buyers and sellers to match up in real time, in January. That will put it several months behind Google (GOOG), which turned on its real-time ad exchange in September. But on the plus side, AdECN will offer lots of intriguing inventory from the get-go: It will sell space on Microsoft’s giant MSN network, as well as inventory on sites the company reps, like Facebook, Digg and News Corp.’s (NWS) Fox Sports. AdECN and Microsoft remain fully committed to the AdECN Exchange and exchange business. AdECN has been running a Pilot of its Federated, real-time bidding technology within Microsoft for the past several months and will be rolling that product out to a select group of participants in the coming months. Real-time ad exchanges are a big deal for people trying to automate advertising buying and selling. They differ from older ad exchanges, like Yahoo’s (YHOO) Right Media, in that they’re supposed to let buyers and sellers negotiate a price within milliseconds on specific pieces of inventory. But it’s not clear that buyers and sellers will embrace real-time exchanges. In order to use them, for instance, they’ll have to build, buy or rent technology that allows them to make and process orders at lightning speed. AdECN manager Jeff Green left Microsoft earlier this month without explaining what he intended to do next. 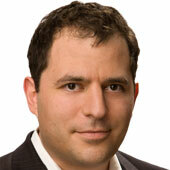 Jed Nahum, Microsoft’s director of network strategy and planning, is running the unit in the interim.